Las Vegas once again. I always find coming to Las Vegas somewhat funny. Many people upon hearing that I am going to Las Vegas for work they start smiling and their eyes light up. I tell them often that going for a conference is a lot different than going for fun. 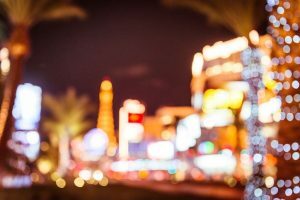 This time I was headed to Las Vegas for the SAPInsider Big Event conference. I had never been to this conference before so I was very curious about what the event was going to be like. I arrived bright and early and attended the keynote Some conferences (Oracle Open World for example) I have been to over a dozen times and never gone to see Larry Ellison’s keynote. But for this conference, I felt that I wanted to dig into the SAP world. Rizal Ahmed, Chief Research Officer for SAPinsider, spoke first. He talked about the adoption of SAP HANA. First introduced in 2010 there has always been a lot of hype around what HANA could or couldn’t do. Many thought that they would not be able to use SAP on their database of choice and would be forced to use HANA. As is typical with many predictions, neither of the extremes happened. HANA didn’t take over the world and many customers still run SAP on top of Oracle and other databases. HANA has become a widely used platform and many enterprise customers are relying on HANA for critical systems. Alison Biggan, President of Corporate Marketing for SAP spoke next around the Intelligent Enterprise. Alison struck a chord with the audience when she said that technology is getting easier and easier for everyday consumers but for that ‘ease of use’ hasn’t really been pushed for those IT people running enterprise software. SAP and indeed many of the attendee’s companies need to push for that over the next few years. I didn’t get to stay for the rest of the keynotes as I had to hurry to man the HVR booth. HVR had some great prizes to give away for those that wanted to stop by the booth and play Plinko. Yes, that is right the game that you wanted with Bob Barker (or Drew Carey for the younger crowd) on the Price is Right. Water bottles were a big hit for those correctly guessing the number with Plinko. At the end of each day we gave away a nice Bose headset. Congrats to all the winners! I didn’t get a chance to attend many session but did have some great conversations with attendees. 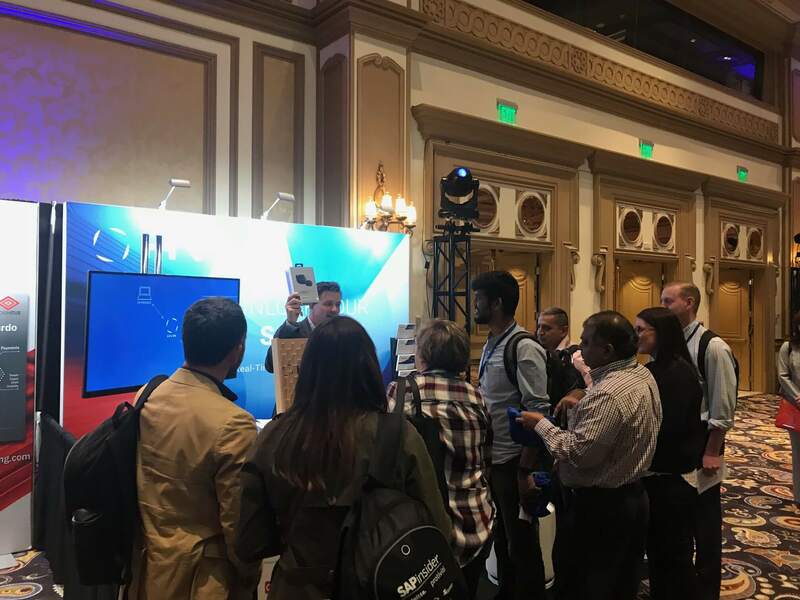 We talked about SAP data hub and how HVR was different in our moving or real-time transactions from SAP ECC and into HANA. We also talked about how the more data you have the more you need to think of that data as being a great store of value. Getting your BI team to unlock that value is the key. Therefore moving that operational data to a proper data store in real-time with a tool like HVR can help provide BI insights that they might not otherwise gain. Getting your BI team to unlock that value is the key. Many people who stopped by our booth asked us how HVR was different from SLT (SAP Landscape Transformation Replication). While both products can move data in real-time from SAP ECC to SAP HANA, there are two major differences. The first is that SLT is based upon triggers. Most DBAs don’t want triggers all over their database as that will often harm performance on their production source machine. The second reason is that of speed. HVR can handle large volumes of transactions that many enterprise SAP customers have. SLT (in tests we have seen) have often not been able to keep up with those high performing databases. I also had a really good chat with Don Sullivan . I have known Don for almost 20 years. Don was one of the architects behind the Oracle Certified Masters program. We chatted a bit about Oracle and SAP and VMware and VMware Cloud and how it all fits together. It was really neat that I bumped into someone that I knew at this conference. I wasn’t expecting it as I mentioned that the SAP conferences were new to me. HVR’s VP of Field Engineering, Joe Debuzna, gave a nice session at our booth. Joe presented a use case from SUEZ Water Technologies and Solutions. Joe discussed how the company leverages HVR to get more from their SAP ECC data (as well as other source systems) by populating their AWS Redshift data warehouse for real-time querying and analytics. 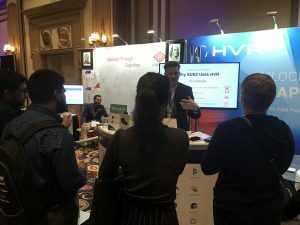 Joe reviewed the unique HVR features and functionality that allow SUEZ to use the least invasive and highest performing method to stream data from their SAP systems: with log-based CDC, compression, and off box decoding of cluster and pool tables. Joe then stuck around to answer questions from the attendees of his session. A few attendees often asked us why organizations would want to move data out of HANA. Joe DeBuzna had a great quote that I think is really worth sharing. It goes back to the idea that HANA has come of age. Joe’s quote, “The third law of Data Integration: When a replication target becomes popular enough, customer will want to start taking data out of that target so that it now becomes a source.” I may have paraphrased his quote but I think that he is really on to something. HANA has been popular as a target and now the time has come that customers want to take the data from HANA and move that data to Snowflake, S3, or some other target. The conference wrapped up on Thursday with a concluding talk by NASA astronaut Douglas Wheelock. He spoke about how he spent 178 days in Space and performed six spacewalks. He spoke of when he was learning how to fly helicopters his instructor hammered in the idea that ‘Chance favors the Prepared’. Being prepared means that you often don’t have to leave things to chance, you are ready for anything. He has some great videos and pictures to go along with his talk. It was great to see pictures of the Wright Brother’s plane next to that of the Space Shuttle taking off. It was pretty awe-inspiring to see how far humans have come over the past 110 years.